Grade 12 student Jennie Semenova aspires to be a crime scene investigator. 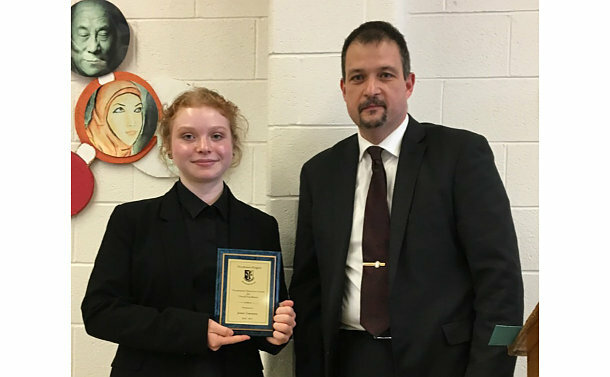 In the last three months, the Northview Heights Secondary School student got the opportunity to experience some of what they do through a placement with Toronto Police Homicide. She assisted with transcribing case lists and other administrative tasks, transferred old audio tapes to digital formats while in the Homicide Cold Case unit and scanned old paper files to electronic format so they could be entered into the Major Case Management format. She also visited Forensic Identification Services and other units as part of the placement. Detective Henri Marsman said Semenova was an asset to the office. In the past, the Homicide office has had Youth in Policing (YIPI) and co-op students from colleges. The final year high school student plans to study criminology at York University. Semenova was the recipient of the Co-op Award for overall excellence. The Homicide office nominated her. The award recognizes a student who has surpassed the expectations of the co-op program at work and at school. The Toronto District School Board administers the Experiential Learning program that provides high school students with an opportunity to apply their knowledge and skills through hands-on experiences. Toronto Police is one of the program partners.